Boffa Miskell was engaged to assist Te Runanga o Ngati Awa (Ngati Awa) with the final act in a 130 year journey of the much travelled Mataatua wharenui, which was the establishment of the Mataatua wharenui as the focal point of the new Te Manuka Tutahi Marae complex on Muriwai Drive, Whakatane. Mataatua wharenui was originally opened in Whakatane in 1875. Only five years after its original opening the wharenui was disassembled by the NZ Government, packed into crates and sent to Sydney for the 1879 British Empire Exhibition. So began a series of journeys that would see the house taken to Melbourne, London and Dunedin. 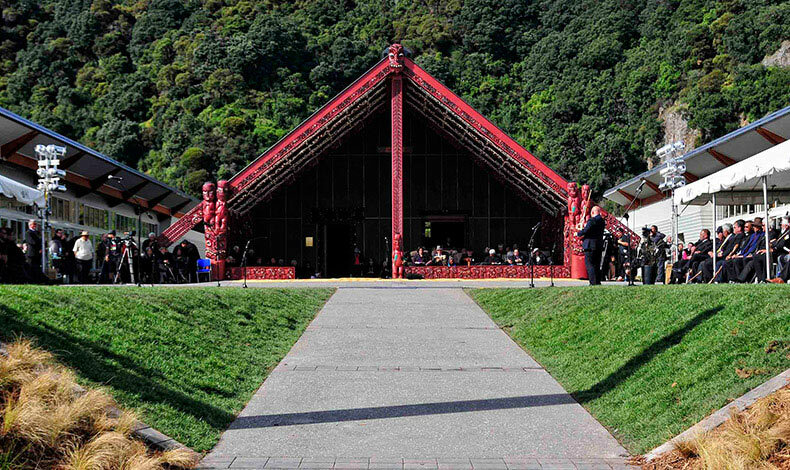 Ngati Awa and the Crown completed an historic settlement for the return of the Mataatua whare in 1996. As a result of the agreement taonga of the carved house Mataatua were finally returned to Ngati Awa. We provided planning and design services to Ngati Awa, which assisted firstly with the granting of resource consent and secondly with the construction of this historically significant development. The complex brings significant benefits to the Whakatane community as a conference and events venue. The complex also boasts a world-class visitor experience centred on the fascinating story of Mataatua wharenui.